Phyllis Rae Bressler, age 92, of Shamokin, passed away Sunday, July 8, 2018 at Select Specialty Hospital, Danville. She was born on Tuesday, December 22, 1925, in Hegins, a daughter of the late Lloyd H Bressler and the late Annie M (Stutzman) Bressler. She was a 1943 graduate of the former Hegins Twp High School and 1947 graduate of the former West Chester State Teacher's College. Phyllis taught music in Orwigsburg High School from 1947 to 1948 and then at Shamokin High School from 1948 until her retirement. During summers she played piano in a trio at a number of venues at the New Jersey shore. She directed the school choir and many school musicals. Ms. Bressler was beloved by her students, and many kept in contact with her long after graduation. Some of her students went on to successful musical careers including performances on Broadway. After retirement Phyllis directed the Shamokin Community Choir "The Choraleers". She was a member of "The Cecilian Club", a Shamokin musical group. She also gave private piano lessons. In her younger years she enjoyed fly fishing and small game hunting with her brother Leo. In later years she enjoyed playing golf and traveling with her friends, especially her travels to New York City to see musicals and plays and to New Mexico, where she indulged her interest in Native American lore. Phyllis was a long time fan of Penn State football, and attended many games. She enjoyed crossword puzzles and looked forward to the challenging New York Times puzzle every Sunday. Her friends and relatives in her hometown of Hegins remained important to her. Phyllis was a member of Salem United Church of Christ, Shamokin, where she was the piano accompanist for the church choir. In her early years she attended Friedens United Church of Christ, Hegins. During her last years, Phyllis was able to remain at home because of the excellent care given by Brenda Duran, and Brenda's family and friends. She was preceded in death by her parents and by a brother, Leo A Bressler. She is survived by a nephew, William L Bressler, MD and his wife Linda S (Mowery) Bressler of Huntingdon; a niece, Ann Lee Bressler and her husband Robin B Barnes of Davidson, NC; a great niece, Molly L Barnes; four great nephews, Morgan B Barnes, David W Bressler, Adam L Bressler, and John W Bressler and his wife Caroline; two great great nephews, Hans W Bressler and Jack M Bressler; and a great great niece, Quinn Isabel Kao. A viewing will be held from 5:00 pm to 7:00 pm on Thursday, July 12, 2018, at the Buffington-Reed Funeral Home, Valley View. Services will be held at Salem United Church of Christ, Shamokin, on Sunday, July 15, 2018, at 3:00 pm, with Rev. Jean Eckrod officiating. There will be no viewing or visitation prior the service on Sunday. Burial will be private in Friedens Cemetery, Hegins. Floyd R. Zimmerman, 89, completed his earthly journey and went home to be with his Lord and Savior, Jesus Christ on Sunday, July 8, 2018 at his home in Lewistown Valley. Born in Hamburg, PA on May 5, 1929, he was a son of the late Walter R. and Emma (nee Leiby) Zimmerman. His family moved to Lewistown Valley in 1932 and when his father purchased the Leiby’s Dairy in 1942, Floyd worked for him until 1956. In 1956, he and his brothers, Ken and Ron, purchased the Dairy and he served as the President of Leiby’s Dairy, Inc. until it was sold to nephews in 1992. In 1965, Floyd, Ken, and Ron, built Leiby’s Restaurant which Floyd managed until it was sold in 1991. He also delivered milk products in the Tamaqua area for 28 years. A 1946 graduate of Tamaqua High School, Floyd married the late Arlene Wertman in 1951 and they had a son, Lynn and a daughter, Peggy. In September of 1999, he and his present wife Peggy Edling married. Floyd had been a life member of Zion Church, Lewistown Valley where he served as Deacon, Elder, and Consistory President and had also been a member of the Schuylkill East Gideons for over 20 years serving in numerous offices for them. He was a past Nobel Grand of Harmony Lodge #86; a 50-year member of Masonic Lodge #238; and a 50-year member of the Tamaqua Rotary Club for which he served as president twice. Floyd had served on the Tamaqua 2004 Committee, on the advisory board of First Union Bank, as a past director of both the Tamaqua Chamber of Commerce and TIDE, and as the Tamaqua chairman for the 2000 United Way Campaign. He served as the co-chairman for the Tamaqua Salvation Army building fund campaign and on the building planning committee of the Salvation Army Community Center. Floyd was currently serving on the Salvation Army Advisory Board and as chairman of the Salvation Army Bequest and Endowment Committee. Over the years, he had received numerous awards including the ACS Excalibur Award in 1997, the Tamaqua Citizen of the Year award in 1998, and the American Cancer Society Volunteer of the Year in 2005. His hobbies included woodworking, fishing, and hunting and he had been a successful big game hunter in Colorado, Montana, Idaho, British Columbia, Quebec, and Manitoba as well as in Pennsylvania. In addition to his wife, Peggy, Floyd is survived by his son, Lynn Zimmerman and his wife Nancy of Lewistown Valley; daughter, Peggy Strack and her husband Richard of East Stroudsburg, PA; stepdaughter, Karen Bensinger and her husband Larry, Jr. of Lewistown Valley; grandchildren, Rebecca Zimmerman, Matthew Zimmerman and his wife Tina, Geoffrey Strack and his wife Gatona, and Jonathan Strack; step grandchildren, Corey Ridgick and his wife Erica, Emmeline Bensinger, and Nekon Bensinger; great grandchildren, Carlos, Lara, Brinley, and Cody; and brothers, Robert Zimmerman and his wife Barbara of Pineville, NC and Ronald Zimmerman and his wife Peggy of Lewistown Valley. He was predeceased by a brother, Kenneth and a stepson, Kris Altemose. Services will be held at 11 AM on Friday, July 13 in Zion Church, Valley Road, Lewistown Valley with Pastor Jim Williams officiating. Interment in Zion Cemetery will follow the services. Call 6-8 PM on Thursday, July 12 at the Zizelmann-Gulla Funeral Home, 500 East Broad Street, Tamaqua and at Zion Church on Friday, July 13 from 9-11AM. Memorials in Floyd’s name may be made to The Gideons International, Box 188, Tamaqua, PA 18252 or Zion Church Lewistown Valley, 489 Valley Road, Tamaqua, PA 18252, or The Salvation Army, 105 West Broad Street, Tamaqua, PA 18252. Online condolences may be made at www.zgfuneralhome.com. Arrangements are being handled by the Zizelmann-Gulla Funeral Home and Cremation Services, Inc., Tamaqua. Evelyn J. Cooper, 91, formerly of Port Carbon entered into eternal rest Sunday with her family by her side at Schuylkill Center Genesis Eldercare, Pottsville. Born in Pottsville on October 26, 1926, she was the daughter of the late Francis H. and Clara M. (Sinton) Smith. She was a 1944 Graduate of Pottsville Area High School. She was also a member of the United Methodist Church, Port Carbon. Evelyn married Kenneth Cooper in 1949 and the two resided in Port Carbon until his passing on September 10, 2001. In addition to her parents and husband, she was also preceded in death by brothers Ralph and Jay Smith. Devoted to her family, she was loved deeply by her children, grandchildren and great grandchildren. She is survived by daughter Cheryl Hassel wife of George, Bernville; son Kent Cooperife husband of Maryjane Hollick, Port Carbon; and daughter Wendy Francis wife of Thomas, Port Carbon; brother Irvin Smith, Reading; granddaughters Alexandra and Raven Francis, Port Carbon; Amanda wife of Christopher Wright, Port Carbon; Kendal wife of Cody Bailer, Pine Grove; and Holly Hassel wife of Larry Smorgala, Marathon, FL. She is also survived by 5 greatgrandchildren and nieces and nephews. A Memorial Service will be held 10:30 AM Thursday July 12 at the First United Methodist Church, Port Carbon, Pastor Lorraine Heckman, Off. Family and friends are invited to pay their respects from 10AM until the time of service. Private interment will be held on the grounds of Schuylkill Memorial Park Cemetery, Schuylkill Haven. The family would prefer contributions be made in Evelyn’s name to the First United Methodist Church Pike and Washington Streets Port Carbon PA 17965. Schlitzer Allen Pugh Funeral Home 515 West Market St. Pottsville has been entrusted with arrangements. Please visit www.schlitzerallenpug.com to leave a condolence for the Cooper family. 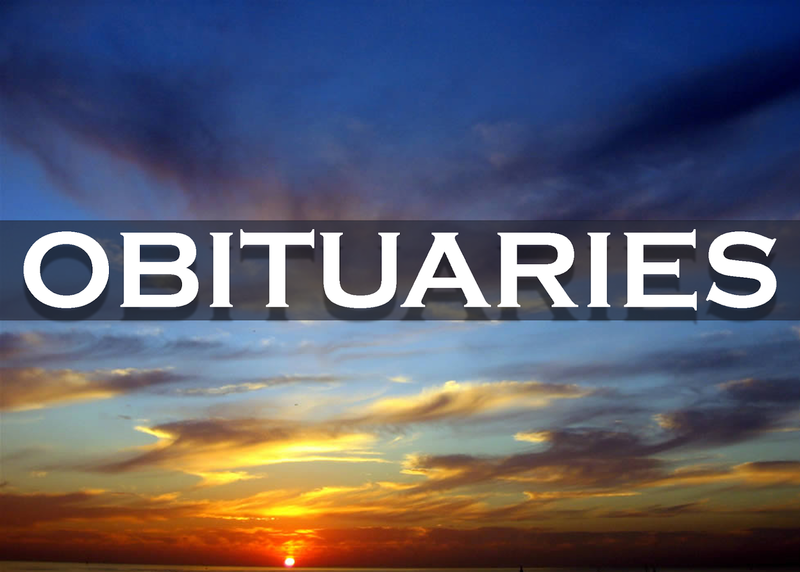 Loida Bellan Trautwein, 86, of Mahanoy City, joined the Lord Sunday, July 8, 2018, with her sons Steve and William at her side in Reston, Virginia. She was born in Stafford Springs, Connecticut to the Rev. John and Mary (Demeter) Bellan. Pastor Bellan's work as an Army Chaplain and Lutheran Minister laid the groundwork for Loida to "see the world". She lived in places like Salzburg, Austria and Queens, NY before graduating Mahanoy City High School. An alumna of Wagner College and the venerable Katie Gibbs School, Loida began her career in in Manhattan with employers that included McKinsey & Company. She lived in Passaic, NJ, and Rockville, MD before returning to Mahanoy City to raise her sons. "Mrs. T" as she was affectionately known, taught for over 25 years at the McCann School of Business. Her passions were her grandchildren, the beach, bridge, reading and all sweets. Loida's perfect day was spent with her family and friends on the beaches of Anguilla or Bethany, perhaps with a Tanqueray Martini in hand. Loida is survived by a son Steve, his wife Patti and their sons Jake, Maxwell, and Steven, her son William and his wife Faith and her sister Marian Bellan. She was preceded in death by her brothers David and Theodore. Relatives and friends are invited to attend a Rite of Christian Burial to be celebrated by the Rev. Fred T. Crawford on Friday at 2 PM from Christ Lutheran Church in Mahanoy City. Interment will be in Holy Emanuel Slovak Lutheran Cemetery in Mahanoy Township. Friends may call at the church on Friday beginning at 12:30 PM. A reception for family and friends will commence at 3:45 PM at Mountain Valley Golf Course. Contributions in Loida's name to the Christ Lutheran Church would be appreciated by the family and will be accepted at the visitation. 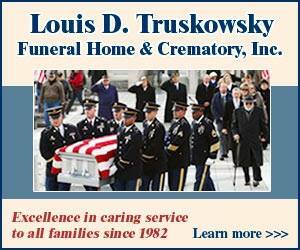 David D. Jarrett Funeral Home of Mahanoy City is in charge of arrangements. Please visit www.jarrettfuneralhome.com for more information.